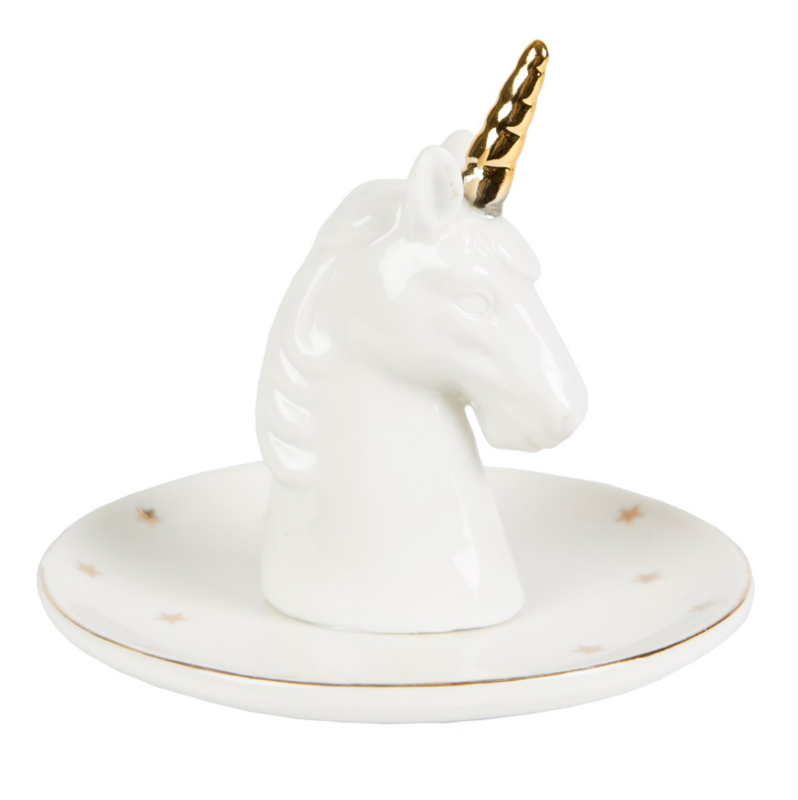 We all love unicorns, they are just amazing, so behold this stunning jewellery dish with the magical unicorn on. 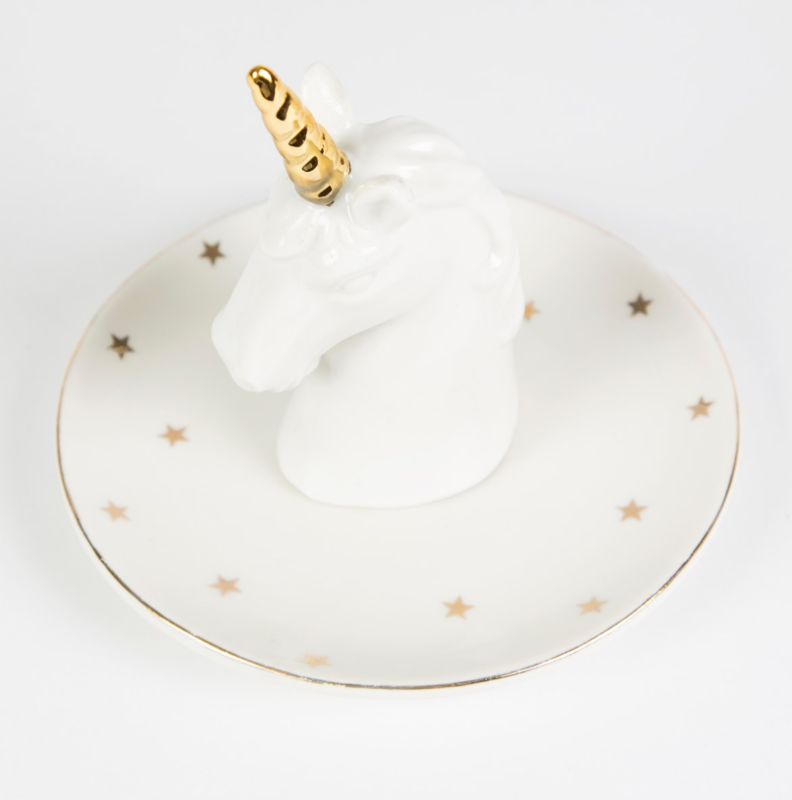 The pretty unicorn is a beauty and sure to go down a treat as a gift. 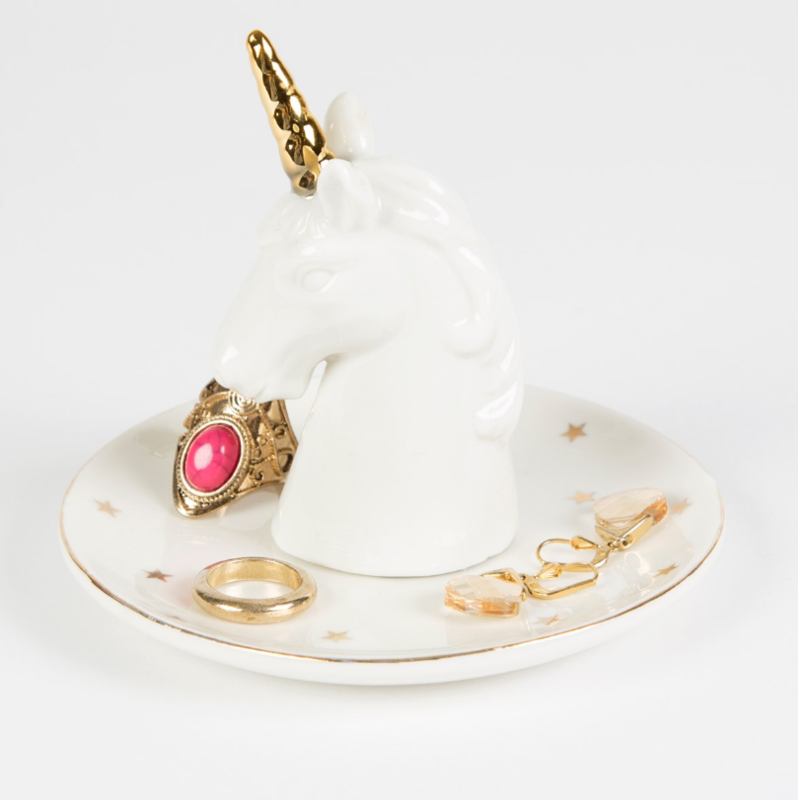 Ideal to store your day to day jewellery or have on your dressing table, this jewellery holder will easily hold your earrings, bracelets and necklaces. The body of the jewellery dish is sprinkled with stars and the unicorn's head can be used to perch your jewels!